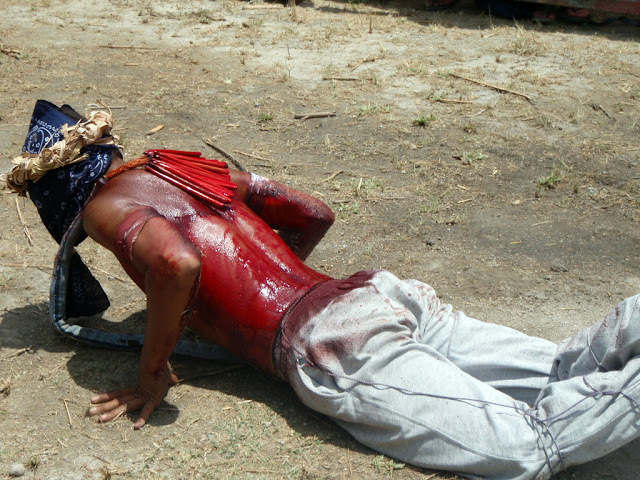 A flagellant succumbs under the lashes and the heat of the sun during the gory re-enactment of the suffering of Christ. Such practice is done during Good Fridays in the village of San Fernando Cutud, Pampanga, Philippines. Events like these are not sanctioned by the Catholic Church.